First there was Myrtle Allen who was responsible for singlehandedly raising the profile and quality of Irish food through her work abroad and in her country house hotel at Ballymaloe. 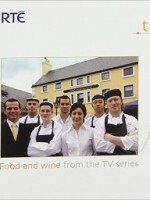 Daughter-in-law Darina backed her up, beginning the Ballymaloe Cookery School and, with her Simply Delicious television series and books, started pushing the message through to the wider public in Ireland. Now it’s the turn of a third generation and Rachel Allen is successfully following in the television footsteps of mother-in-law Darina. Not having a television set for a few years (and spending the last 12 months in New Zealand!) 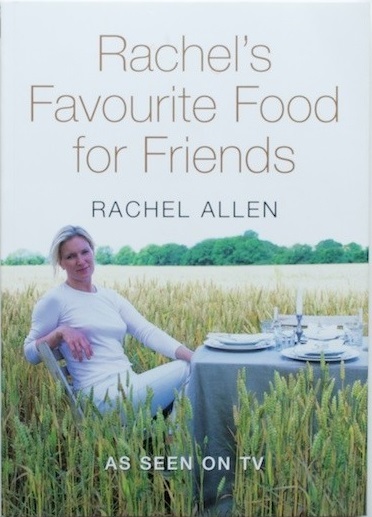 I haven’t yet managed to catch any of Rachel’s programmes but I have got my hands on her second book, Rachel’s Favourite Food for Friends, based on the series of the same name. My mother hasn’t been impressed with her television persona, describing her as “very milk and water” (another way of saying wishy-washy) but, based on her book, it is easy to see why she’s so successful. Rachel is not inventing the wheel but she is re-introducing it to a new generation. Darina, at first, focused on traditional Irish cooking – soda bread, raspberry jam, roasts and scones – but she also ventured into then-exotic (I’m talking early 1990s Ireland here!) 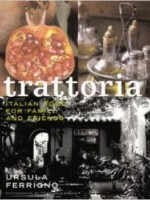 Mediterranean foodstuffs like pasta and Peperonata. Rachel, who like many of us in our 30s, has travelled throughout the world, takes inspiration from a variety of further afield sources. Her recipes for dishes that we might have tasted on our own travels – Tom Yum, Moroccan Chickpea Soup and Kulfi – are all simple and manageable. Rachel endeared herself to me by starting off many of the chapters with soups (Chunky Smoked Haddock Chowder, Cannellini Bean and Chicken Soup with Basil). When you’re reading her book on the DART on a cold dark winter’s night, that’s exactly what you want to see. There are plenty of useful tips scattered throughout the book and I particularly loved her comment that caramelised sugar is ready when it turns the colour of whiskey. That’s not a tip that you’re going to forget in a hurry. Her sweet pastry technique – untouched by hand, lots of resting, rolled out between clingfilm – seems to be exciting a lot of interest too and, judging from personal experience with my aunt’s apple tart, I know that it tastes delicious. Rachel’s Favourite Food for Friends is perfect for home cooks anxious to expand their repertoire and well worth a browse for everyone else. I’m sure it’s going to feature in many a Christmas stocking this year. 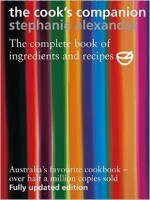 Interested in books, food or books about food? 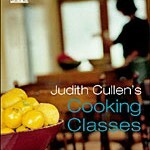 Check out our sister site Bibliocook.